WAA-HOOO! : Bionic Heart 2 is finally out! I know what you're saying: "Bionic Heart 2"? 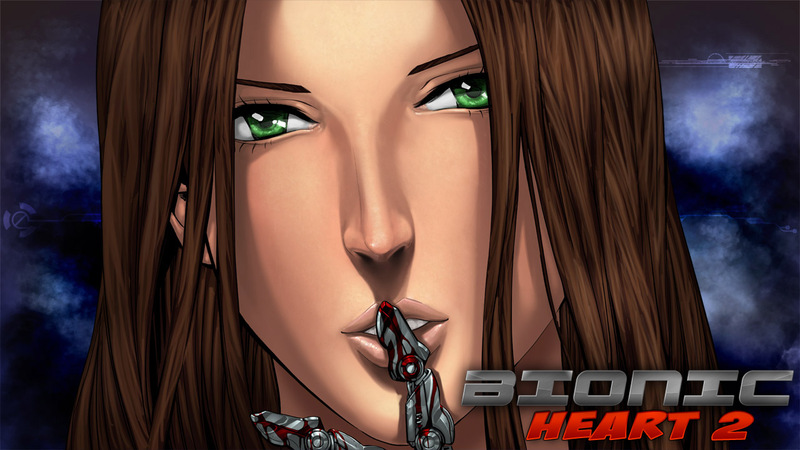 But you never posted anything about "Bionic Heart 1" in this blog! You're right - I never did. The reason is that I didn't have anything to do with the original Bionic Heart. However, Winter Wolves hired me for the sequel - or rather, the sequel to the canon ending of Bionic Heart. So if you played Bionic Heart before, you will now finally know which of the many many endings of that story really happened. To all others, a short introduction: Bionic Heart 2 is a cyberpunk science fiction VN that takes place in the year 2100. Due to climate change, Earth now only knows one sort of weather: rain. People, however, have adapted to the new circumstances and are basically living their lives much as before, and the last few locations where the sun shines at least for a few days a year are hot tourism spots. Technology has greatly improved; humanoid robots are widely used, and while full AIs are still a long way to go, computer systems now easily understand voice input, though for most purposes, keyboards are still being used (there was a short trend in the early 2080s to entirely do away with them, but a sharp drop in literacy among children resulted from that, and governments worldwide quickly acted to keep them in use, requiring official forms to be submitted in "certified typed form" and not converted from a speech input). 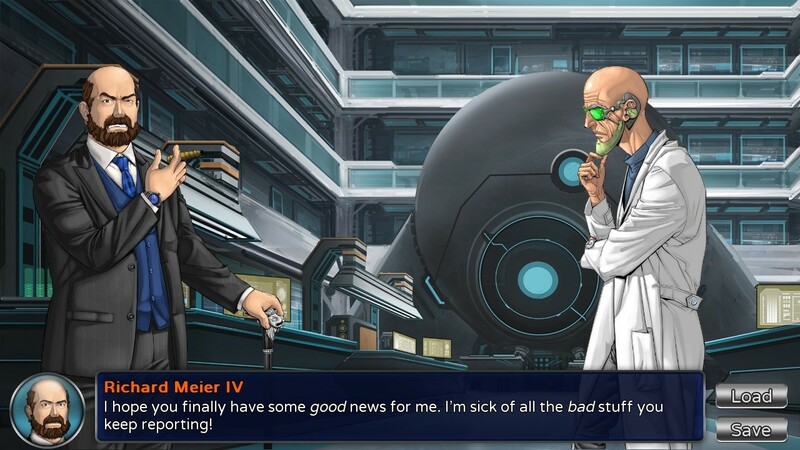 Bionic Heart 2 begins right after the events of the first game. Tanya helped Luke, Helen and Tom escape from Nanotech by putting them on a shuttle to a secret base on Mars. She herself is planning to stay on Earth and find a way of foiling Nanotech's plans, which seem to be much larger than just the creation of a single cyborg. Hopefully, she can uncover their machinations. Tina and Rob are two ordinary London policemen dragged into the scenario by sheer circumstance who only in time realize they have found a situation that may very well be over their heads. But who can they trust? Because of the events of Bionic Heart, Tanya is a wanted criminal. Surely there must be something about the accusations against her - they can't all be false, or can they? 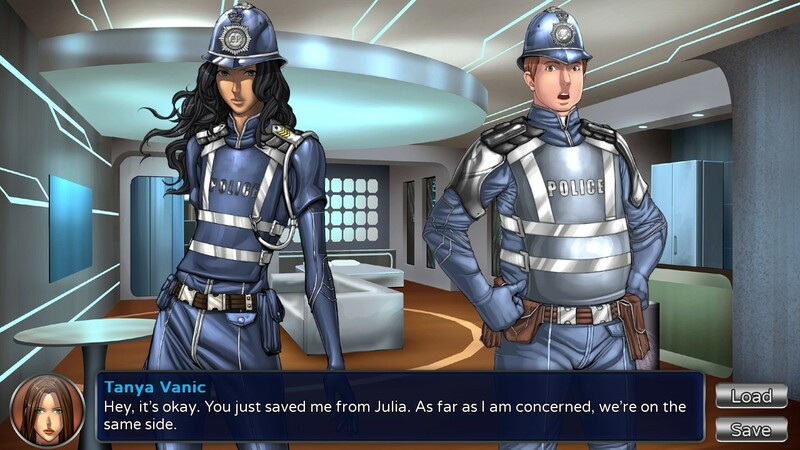 Bionic Heart 2 does something very unusual for a VN: it splits the plot in two, allowing you to follow what's happening on Earth and on Mars separately. There are four different POVs (Luke, Tom, Tanya, Tina), and decisions you make in each influcence what's happening in the others. The most unusual thing, however, is that you may spectacularly fail either the Mars or the Earth part - and the rest of the VN will continue! That's right, you may lose three of the game's protagonists and you still have a story to complete. And doing so will even unlock endings you couldn't unlock any other way! I'm quite proud of this story, even though I had to work within the restrictions of a pre-existing game. It's one of the most multi-faceted VNs I have ever written. There's really no reason why you shouldn't buy it right now, from WinterWolves. 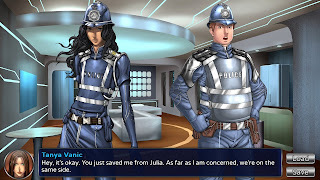 If you're uncertain if it's your cup of tea, here's a free demo version, and for a measly €15, you get a full-length sci-fi VN with tons of replay value.